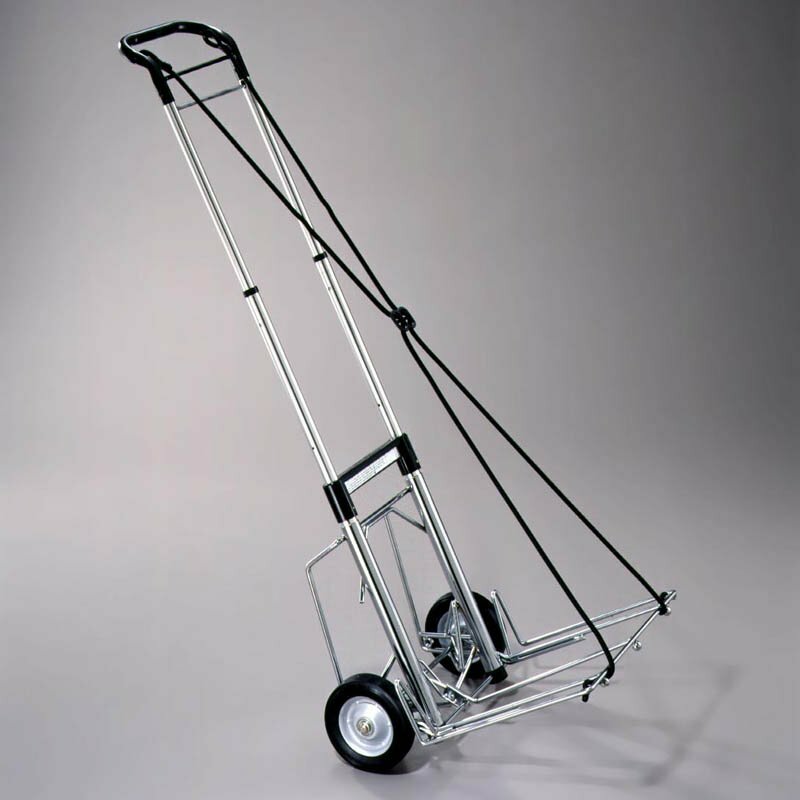 The Model 770-3, Hand Truck Cart, is a heavy duty telescoping cart that is widely used as is or upgraded with a unique click-n-go attachments for specialized applications.Unique safety loop securing cords. Sturdy parallel stair glides. Load tray accommodates a wide range of sizes and shapes. Single motion squeeze handle telescopes cart closed for space-saving storage and portability. Limited lifetime manufacturer's waranty. Closed (HxWxD): 25" x 16.5" x 6.5"
Load Tray Size (WxD): 16" x 12.75"
Good cart and a terrific Customer Service staff. From the website to the price and shipping time Excellent transaction. This Clipper Cart is replacing the same that I have worn out after 22 years of use. Thank you. Great , sturdy n strong. Holds all tools and parts boxes no problems. I love how the handle on this truck is tall enough for me. Everybody elses has me stuping over because the handle is too short. Adding the pad kit is nice too. 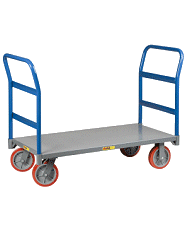 The capacity of this handtruck was surprising and has come in handy in the past. This is my third one. I use it everyday and it really gets abused. I have recommended it to friends and coworkers and the ones who have it love it after what they had before. Very easy to use. Sturdy looking and quite easy to close. However, the straps securing the boxes can be a little loose sometimes. Great product but the straps need improvement. 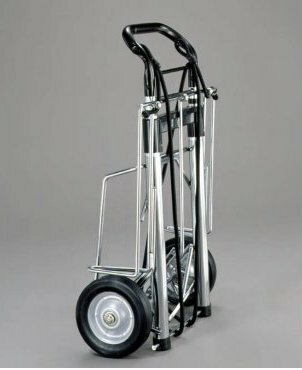 This hand truck is the best I have found for carting TALL loads. Tallest available and very sturdy. I have had this truck for a few months and it's great with opening/closing improvements over prior models. Folds small and good weight for capacity and durability. Hand Trucks R Us were great to buy from personal follow up on order and fast shipping as advertised. Will do business with them again. I believe this is my fifth or sixth Clipper Cart. This cart works well for stacking my drums. I use the cart on a regular basis and they do start to wear down, usually in 2 to 3 years but I probably end up getting 3 to 4 years out of them. I haven't found any other cart that for it's weight and size will work better for my needs. I use extension bungie cords so that I don't wear out the fixed cords by overstretching them, I learned this from past experience. Clipper seems like a good company that backs up their product. Hand Trucks 'R' Us was great to deal with best price & quick shipping. My job requires that I maintain small UPS systems through out my critical infrastructure which means I replace a lot of batteries and the Clipper hand truck that I purchased as light and as compact as it is allows me carry on average about 150200lbs without any problem what so ever. I would recommend the Clipper hand truck to anyone working in the engineering or service field. The part ordered worked well and we are pleased with the quick response. I bought this as a Thank You gift for my Attorney, he commented that I had excellent taste for tools and he loves it! !